There are now candles with scents aimed at men, who might not be interested in collections like “Water Inspirations” or “Citrus Passions”. Man Town™ – Escape to the man cave with this masculine blend of spices, woods and musk. First Down™ – This combination of orange, patchouli, vetiver and leather is as exciting as game day. Riding Mower™ – Hot sun. Cool breeze. And the intensely summery scent of freshly cut grass. 2 x 4™ – The warm, unmistakable scent of freshly planed wood and sawdust evokes a sense of confidence and quality. Apparently this is for real, even though it sounds like a parody. They cost $27.99 each. I’m no marketing expert, but men typically don’t buy candles to start with, and that seems like a high price to gain entry into this market (if such a niche exists). I don’t have any review samples, but let’s consider the candles anyway, just based on the descriptions. I’m not sure I’d want one that smells like a man cave. Let’s think about this logically. If a man is single, his bachelor pad may already smell like a “man cave”. And if he’s single, he likely isn’t buying candles. If a man is married, he probably already has several years’ supply of candles at his house, and his wife likely would not approve of these smells anyway. There is a nice aroma of a freshly-mowed yard, but I’m not sure I’d want that in the house. Plus, you get that every week or so anyway from mowing the yard. Some guys might like the 2×4 scent, but I doubt it evokes “a sense of confidence”. 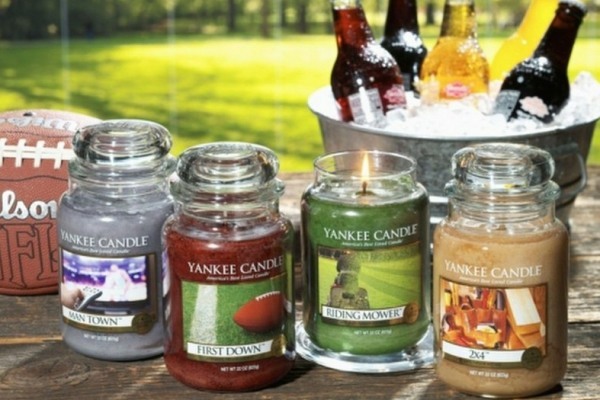 I don’t know about the First Down scent, either, but I’m fairly certain a candle won’t be “as exciting as game day”. That’s some marketing malarkey! But this is no review, because I haven’t tried them. Nor do I plan to, because I’m married and I never buy candles anyway. But if you have experience with these, let us know. As I mentioned in the last post, I was recently in Branson with the in-laws on vacation for a weekend, and I knew the women would be doing some shopping. There’s a few outlet malls there, plus the newer promenade mall. I can take only so much shopping, unless it’s for electronics or games. Find an all-you-can-eat buffet and try to make a day of it. If your wife mentions that you probably don’t need to eat that much, you can always reference the fact that she probably doesn’t really need to shop that much either. Tell her that the sooner she gets back from shopping to pick you up, that is the sooner you will stop eating. I like this idea. It would tie-in with the idea of the last post where a store offers an atmosphere for men along with lots of nachos and other good eats. But even without such a place, there are plenty of all-you-can-eat restaurants in Branson. If my wife thinks I should eat less to help me lose weight, she can shop less, which will save money. So it’s a win-win situation! What I’m thinking of is a place where you can rent recliners for naps or to watch sports or play video games and/or eat nachos. I think there’s a market for it. I could justify spending a few dollars to do that while women look at clothes for hours. 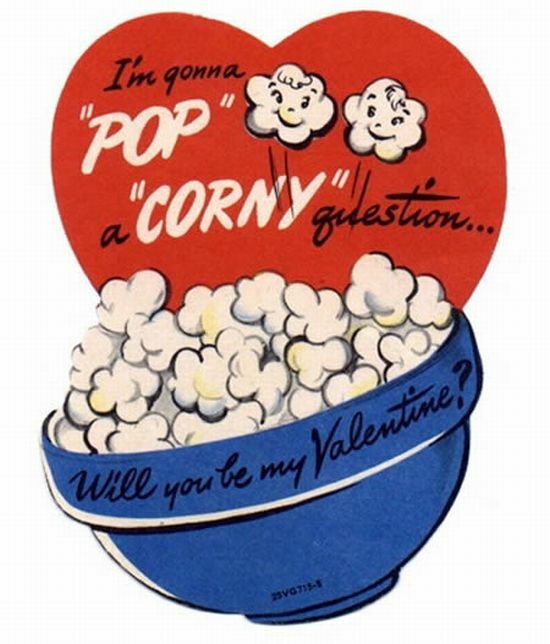 Maybe we should open one — I’m certain we could make it awesome. We could also sell new versions of the equipment in there — TVs, game consoles, games, recliners, etc., and have it delivered. And we could sell off the used equipment at discount when it’s time to replace it. If people can play video games, you’d surely sell some of them. If necessary, you could occasionally show ads targeted at men, like for sports cars, tools, video games, action movies, flamethrowers, etc. Ideally you wouldn’t have to show ads, but still, I could tolerate a few if it meant spending a few hours watching sports or playing video games instead of sitting around.